What’s worse than being in a great city and not having anything to do? Let’s try being in a large metropolitan area that has tons of things going on and not KNOWING what to do!! This is where DFWH comes in. We are a resource for you to be ‘in the know’ and keep up with What’s Happenin’ in the DFW! DFW Happenings was started to make local North Texans aware of fun, interesting things to do across the metroplex. It’s for people who may not want to stick to the normal club scene all the time and get sick of just going to the movies every weekend for their “recreational activity”. If we’re interested in it, please believe that we’ll tell you about it too!! Dallas and Fort Worth have cool spots, festivals, music events, family events, social mixers, networking events, races, blood drives and other unique activities going on but if you’re like myself and my network of friends, sometimes you really have to look for them! We’re providing you what we call a “North Texas Treasure Map” to help uncover those hidden jewels, whether it be in Uptown, Downtown or just around town. DFW Happenings is your #1 spot to stay connected with your city’s “happenings”. Make this site a place you visit on a weekly basis! 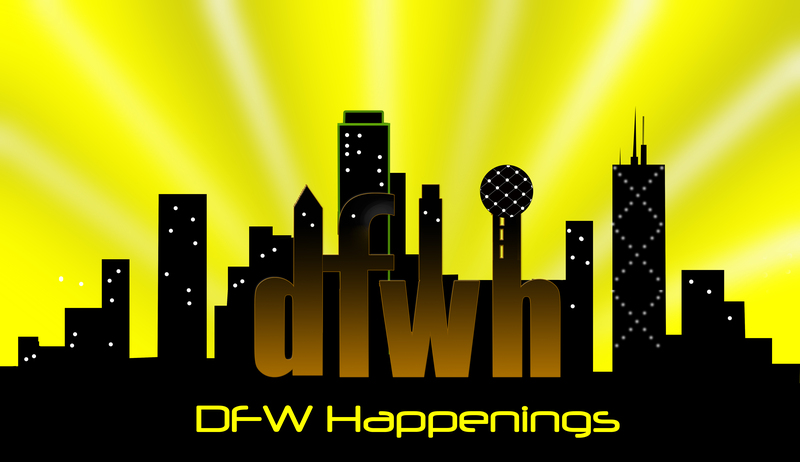 Follow us on Twitter @dfwhappenings1 for even more announcements of events and great deals across the city! We’re constantly tweeting about things going on in the D-F-Dubb!! Get ready to experience a whole new Dallas Ft. Worth!! If you’ve got a cool event coming up soon or just want to connect with DFWH e-mail us at dfwhappenings@gmail.com or Tweet us!! Visit our Facebook Page for more info and Feel free to “LIKE” us!